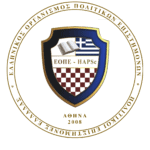 It functions based on the decision taken from the Board of Directors of HAPSc (27/2016), and it was established in Thessaloniki in the premises of the Institute of Balkan Studies at Megalou Alexandrou Avenue, 31A. The United Nations is an organization with a unique and specific international identification, which takes actions, in accordance with the powers conferred on it by its Statute, inter alia, for the maintenance of international peace and security, the establishment of peaceful international relations between states, promoting an adequate standard of living and the protection of human fundamental rights. Its ecumenical project has the ultimate goal of, in general, establishing a safer world through the foundation, implementation and development of its goals. The Hellenic Institute for the UN, as a research body, is called upon to carry out research on the issues of the Association jurisdiction and activity. Thus, besides the implementation of its research activities, the Institute aims at its presence and establishment in the Greek and international scientific community, through the Association’s conferences and workshops, training programs, publications and research, as well as its participation in the European and international forum for the promotion of his work.